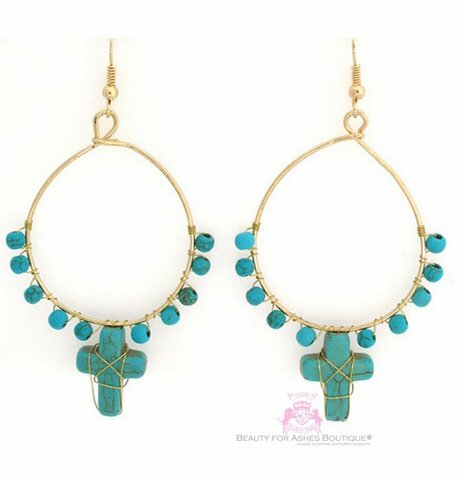 These stylish goldtone earrings feature a hoop design filled with small turquoise beads and centered by a single cross bead. They measure 3.25" long including the fish hook. They are very lightweight and comfortable.